Room was extremely clean. Wifi was fast and reliable. They really go out of their way on the continental breakfast. Easy check in, room clean, bed very comfortable, not much of breakfast was only con. Terrible management was there 5 days and complained about Plugging toilet and never came. Was told by the maids that the owner would go in rooms when people were gone and plunder. One person in crew found him in his room. So you're pondering a holiday to Greensboro? If you want a place to call home that's located close to Greensboro attractions, use Orbitz to pick your travel dates, and then presto! 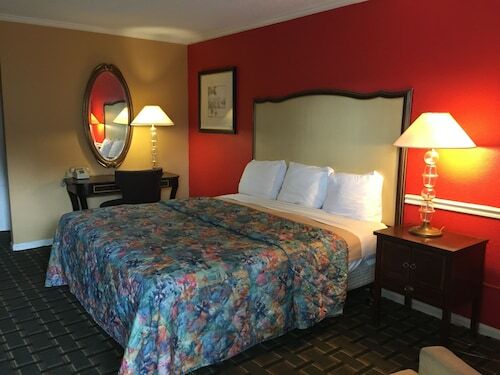 Review the list of hotels and other accommodations to find those that are close to everything you want to see and do. Orbitz can help you find a place to stay in Greensboro no matter what you want. Search by filters such as price, neighborhood, guest rating, or popular locations, depending on what's most important to you. 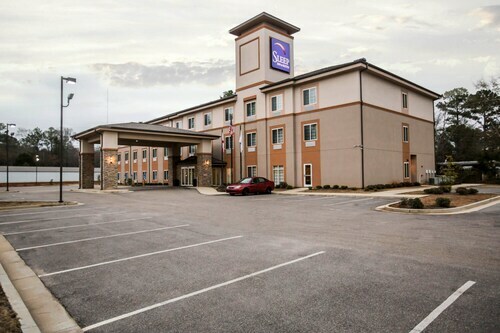 There might be just a few hotels and accommodations to choose from in Greensboro, but here some other options located close by to give you some choices. What's the Weather Like in Greensboro? 5.0 Best hotel in the area.